The restoration of land ‘borrowed’ for aggregate extraction is carried out to a high standard and has resulted in a number of awards for Hills. Hills works closely with partner organisations such as the Wiltshire Wildlife Trust and the Cotswold Water Park Trust to deliver areas that are rich in wildlife and regarded as assets for local communities. Hills Quarry Products received a special award for their contribution to the restoration of The Cotswold Water Park, Gloucestershire. Nature has largely taken its own course at Swillbrook but not without some help from man and from the Wiltshire Wildlife Trust in particular, which manages the reserve. Willow scrub and brambles are cut on a regular basis and other areas are kept under control by grazing. It is one of the finest spots in the area for birdwatching. Used for gravel extraction in the 1960s, this area is a fine example of a wildlife haven created by human activity. A mass of shallow pools provide ideal conditions for dragonflies and damselflies. Small breeding populations of wildfowl are joined by wintering birds, and some unusual migrating birds. Chiff-chaff, sand martins and swallows are regular visitors. Hobbys gather to feast on dragonflies, and winter visitors include mallard, gadwall, pochard, tufted duck and goldeneye. 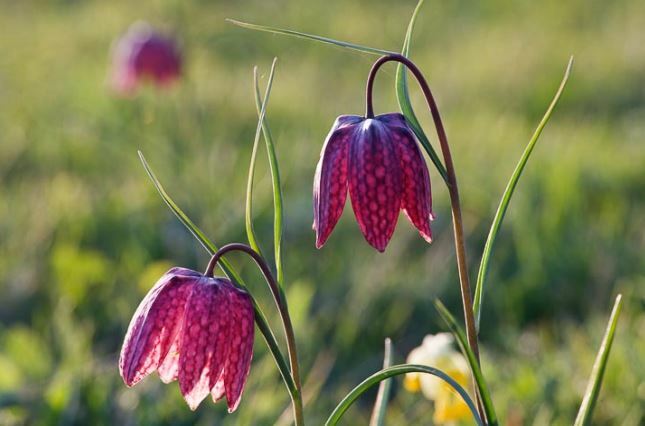 The 32-acre site had to be worked with particular care because of an adjoining Site of Special Scientific Interest (SSSI) populated by a rare snakeshead fritillary. Water levels were constantly monitored and maintained by recharge ditches in order to safeguard the flowers. 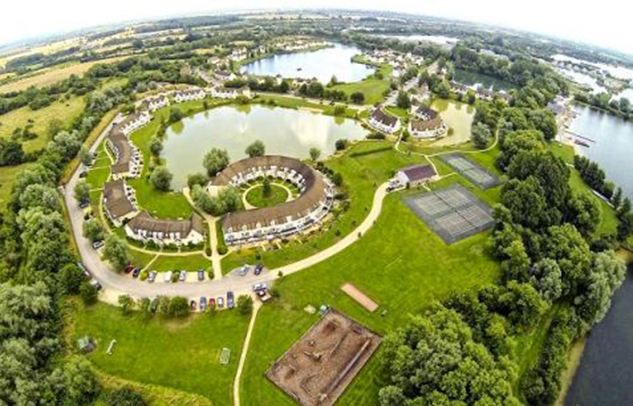 Situated close to the Cotswold Water Park village of Cerney Wick, Spinnaker Lake was worked for gravel in the 1970s and handed over to the Cotswold Sailing Club in 1984. The club has since purchased the site and built its own clubhouse. evenings throughout the summer. It is also a popular venue for young canoeists. The site won a restoration award from the Sand and Gravel Association in 1994. 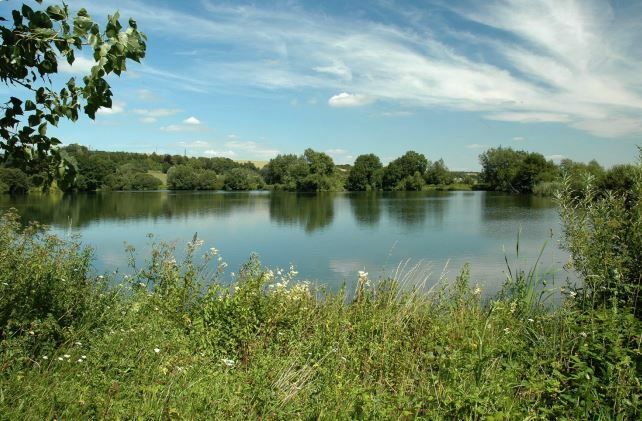 The Cotswold Water Park consists of a network of 132 lakes and is already 50 per cent larger than the Norfolk Broads. At its heart is a development of lakeside lodges in a range of complementary styles and widely sought after as second homes. The development at South Cerney is in two parts. Isis Lakes covers two lakes, one stocked with carp and the other with trout for the enjoyment of fly fishermen. It also has floodlit tennis courts, a croquet lawn, adventure playground and an assortment of rowing boats and canoes. The neighboring Spring Lake offers views over a slalom ski course and also boasts its own health and fitness club. While most of the land is maintained to parkland standards, some of the lake edges have been left to return to natural environment and have become home to an assortment of wildlife. The Isis Lakes development won a Quarry Products Association restoration award for Hills in partnership with Watermark Management in 1999. 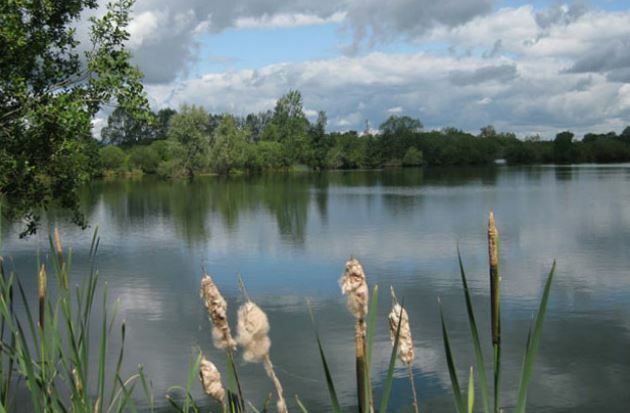 Set in the picturesque Wylye valley to the west of Salisbury, Langford Lakes is one of the UK’s best examples of long-term gravel workings that have successfully made the transition to become a stunning nature reserve. Since purchasing the site in 2001, the Wiltshire Wildlife Trust has built on the good restoration work achieved previously by Hills to establish what has become its flagship reserve. It is now an important refuge for wetland birds, a centre of excellence for environmental education, a popular destination for anglers and a valued venue for the local community. 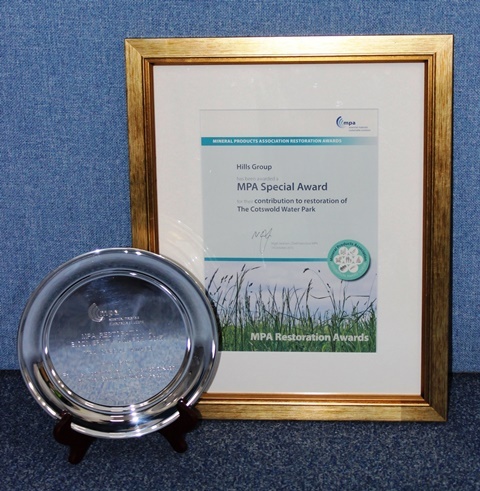 Langford Lakes received the coveted Chairman’s Trophy in the Quarry Products Association 2007 Restoration Awards.